THERE will be no excuse to miss a minute of the action across the Liqui-Moly Bathurst 12 Hour event this weekend. Live TV in Australia and New Zealand plus an enormous amount of streaming options, live timing and more will be available to fans looking to catch the action from Australia’s International Enduro and the support categories on show this weekend. Here’s a rundown of every place you can watch and follow the action this weekend. The Seven Network will return to provide live and free coverage of the 2018 Event on Australian TV. Saturday’s Pirelli Top-10 Shootout will be shown in a special one-hour broadcast on 7mate between 4-5pm (AEDT) on Saturday. 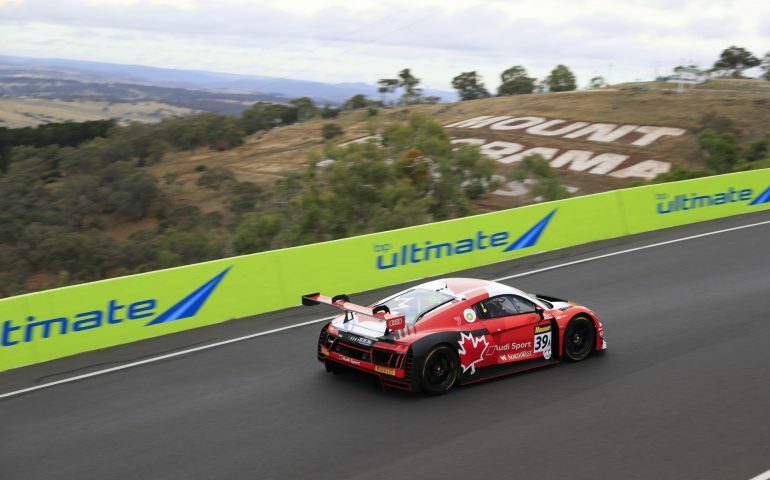 7mate will then show the entire Liqui-Moly Bathurst 12 Hour Live+Free on Sunday 4 February, with the broadcast commencing at 5:30am and running through to the conclusion of the podium presentation at 6:00pm that evening. In New Zealand, Sky Sports will exclusively show the entire race live, commencing at 7:30am NZ time. The official Bathurst 12 Hour website will provide live streaming of every session on Saturday and the full race on Sunday. The stream will commence just prior to 8:10am on Saturday morning and will include all support category races, the final 12-Hour practice session and Qualifying ahead of the Shootout coverage commencing at 4pm. Sunday’s streaming coverage mirrors the 7mate broadcast and will commence at 5:30am AEDT. For international Audiences, Australian Eastern Daylight time is UTC +11 Hours. That means the coverage will commence at 6:30pm on Saturday, 3 February in London, 7:30pm in Berlin and 10:30pm in Dubai. In the United States, the coverage commences at 10:30am on Saturday in California and 1:30pm in New York. In Asia, the coverage will start at 2:30am in Beijing and 3:30am in Tokyo. In Australia, the Shootout coverage and Sunday’s race coverage will be available via the Seven Network’s streaming service, 7plus – meaning local fans can continue to follow the race on a mobile device should they not be able to reach a TV. The 7plus streaming will also allow fans at the track to stream coverage should they not be able to see one of the several Big Screens located around the precinct. You can access both the local and international streams via the links on the Bathurst 12 Hour website. Friday practice will feature Audio Commentary, streamed via the Bathurst 12 Hour website and radiolemans.com. A large selection of streaming partners will carry the international stream to audiences around the world. Live timing will be available via the Bathurst 12 Hour website – follow the links on the home page.